The aim at England's Finest Ltd is to provide a one stop property service. 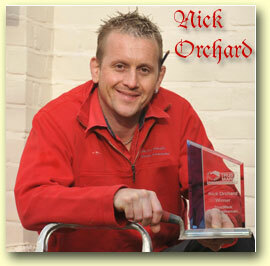 Why should you the customer have to chase around trying to get quotes in from General Builders, Plumbers, electricians, roofers, plasterers, carpenters, bricklayers etc in and around the Bristol area, let me (Nick Orchard) take away the pressure and hassle of trying to find good quality tradesmen who will carry out your project to the high standards you would expect. We like to think we are Home Builders rather than House Builders, because after all it is your home. If you are looking for a company within the construction industry to have your building works carried out, England’s Finest are the company for you. I will visit your property at a mutually convenient time and day, talk through your planned project in detail, and produce for you a professional quotation. England’s Finest Limited are well established builders in Bristol who are able to carry out a multitude of different projects which include all General Building, Kitchens and Bathrooms, Loft, Cellar and Garage Conversions, Carpentry, Plastering, Roofing, Plumbing. All work can be insurance backed (Zurich) Warranteed via ‘The Federation of Master Builders’ Masterbond scheme, Please ask for details.